Arrive at Karwar Station, report to coach and proceed to Hubli. AProceed to Badami. 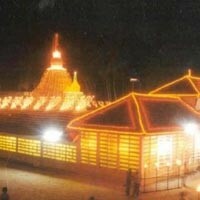 Visit Bhutnath Lake, Shiv Gumpha, Vishnu Gumpha, Vaishnav Gumpha and Jain Gumpha Mandir. 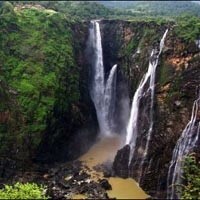 Return back to Hubli . 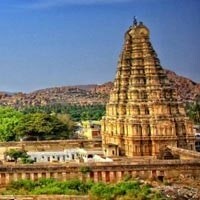 Proceed to Hampi. 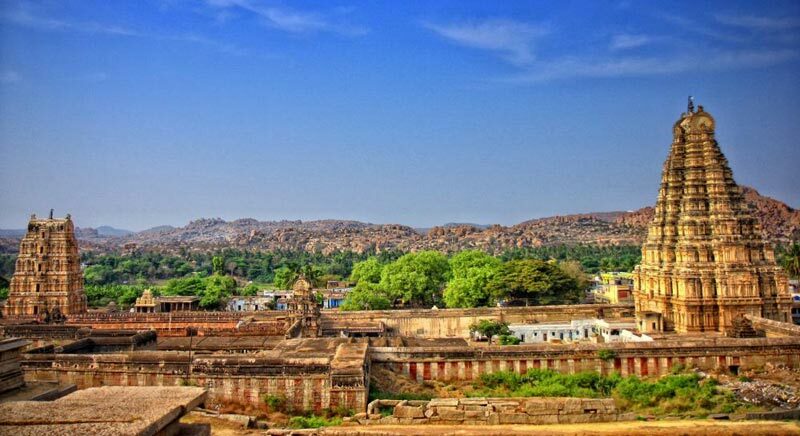 Visit Shri Virupaksha Temple, Shri Vijayavitthala Temple - this wonderful monument is dedicated to Lord Vitthala or Lord Vishnu. Proceed to Murudeshwara. 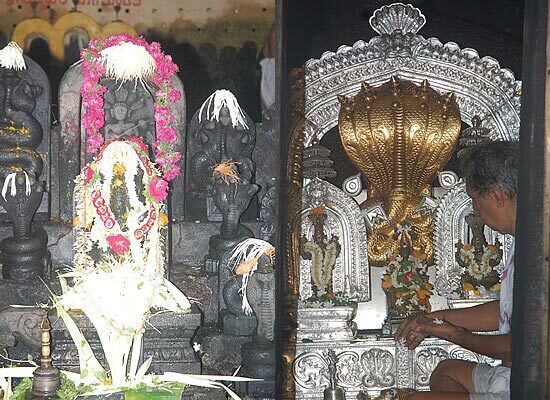 Enroute visit famous Devi shrine of Sirsi, Sri Marikamba Temple and Sahasralinga which is in the river Shalmala and is famous for being the location where around a thousand lingas are carved on the rocks in the river bank. 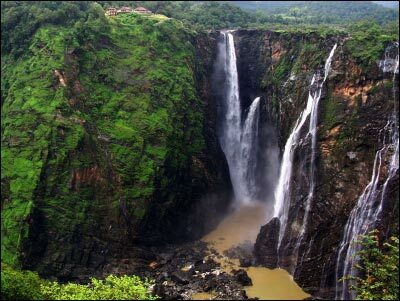 Enroute visit Jog Falls, one of the highest waterfalls in India. 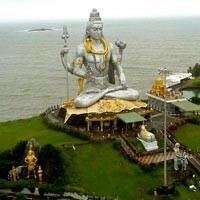 Arrive in Murudeshwara and overnight stay. 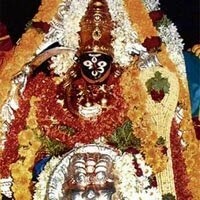 Visit to Mahabaleshwar Temple - one of the major temple which is famous for Atmalinga in Gokarna. It is often called the Kashi of the South. Lunch at Honavar hotel. 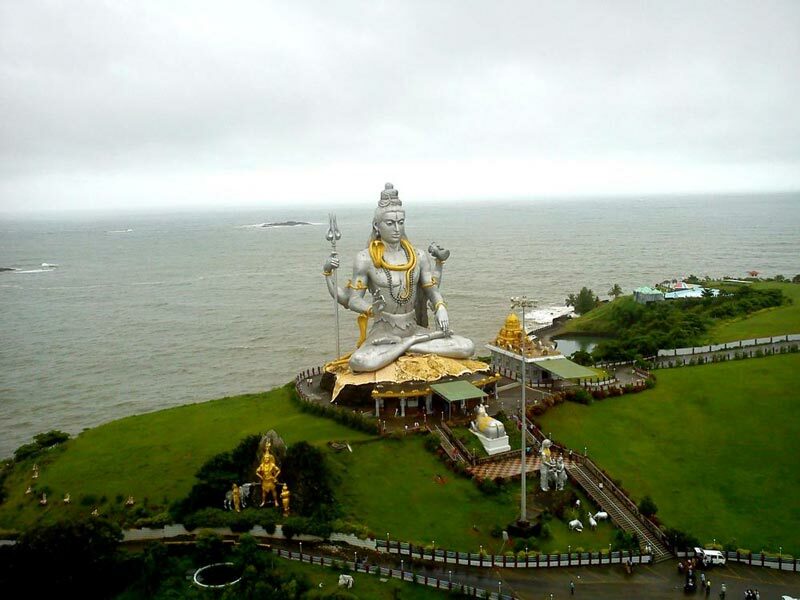 Evening proceed to visit Murudeshwara temple & Enjoy Murudeshwara Beach. Proceed to Udupi. 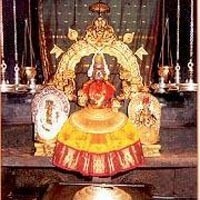 En-route visit Mookambika temple - one of the seven most sacred spots of costal region in Kollur. Arrive at Udupi. In the evening visit Sri Anathesvara Temple - Lord Vishnu's temple famous for its intricate carvings, Chandramaule shvara Temple - dedicated to Lord Shiva boasts of towering roof like a pyramid and Krishna temple. Proceed to Mangalore. En-route visit Shringeri Temple - home to the Sarada Peetham established by the revered spiritual leader Aadi Sankaracharya. 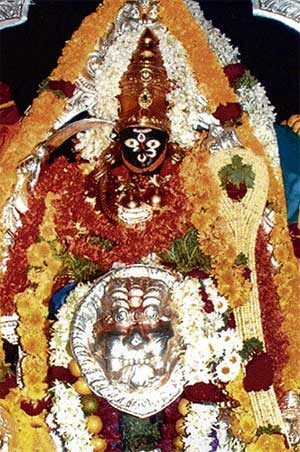 Later proceed to Kadri Manjunath Temple - The idol of Lord Manjunathaswamy of the temple is called as oldest of the South Indian Temples and Mangaladevi Temple - The word Mangalore is derived from goddess Mangladevi. Goddess Mangala is worshiped as Shakti. 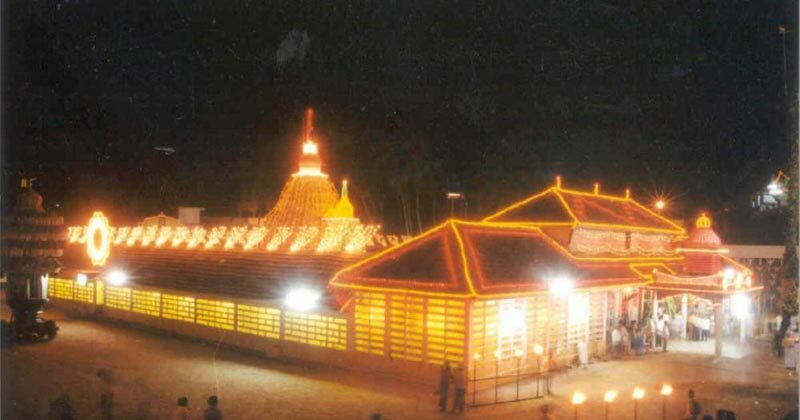 Visit the famous Kukke Subrahmanya Temple situated on the banks of river Kumaradhara. 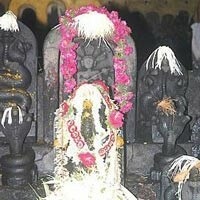 God Subrahmanya is worshiped for his divine power as a snake as the epics relate that the divine serpent Vasuki and other snakes found safety under God Subrahmanya. 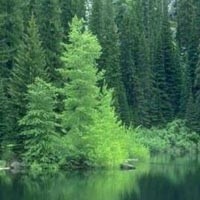 It is famous for Sarpa Samsakara or Sarpa Dosha. Proceed to Dharmasthala. Enroute visit Moodabidri temple (Thousand Pillars Temple) famous for its stone sculpture - Mahadwar, Bhairadevi, Chitradevi, Namaskaara, Teerthankara and Garbhagruha are the Mandapas here. 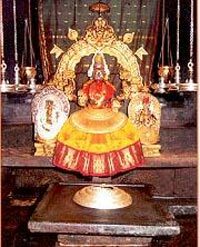 Visit Dharmasthala - is renowned hindu religious shrine having 700 years of history, Lord Shiva is worshiped here as Lord Manjunatheshwara. Board the train / flight for your hometown. Tour Concludes. 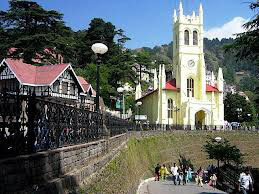 Horse riding in Shimla and Manali. 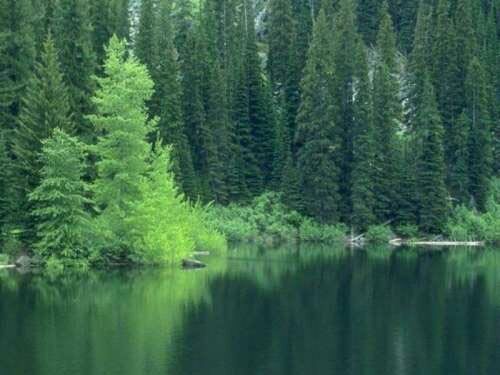 Above rates are calculated as per the hotels and rooms mentioned. In case of room type is not mentioned, calculations based on the base category room in the hotel. Booking will be confirmed only after receiving the advance payment and availability of hotels mentioned. In case of non availability of rooms in the specified hotels we will inform you the same and will give you different options of hotels and the rates will be increase or decrease depends on the hotel selection. There will not be any change in the hotels specified without your concern. Note: Service tax @ 3.09% extra on the above rates.